The "grid method" has been used for centuries to create accurate perspective when painting. Every 7 oz, 100% unbleached cotton Artist Grid canvas is triple-primed, then printed with blue grid lines. This makes it easier to place objects from a photograph and plot landscapes, still lifes, and portraits. 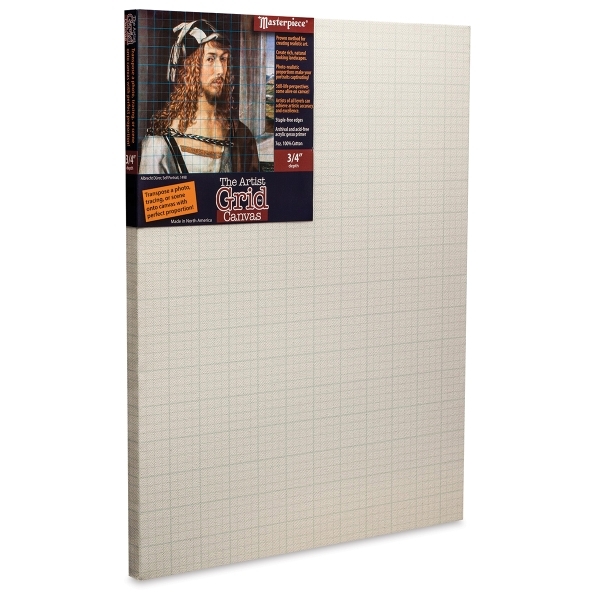 These ¾" deep canvases feature staple-free sides so artists can incorporate every inch of the canvas into the artwork. The canvases are archival and acid-free. Class Packs — A Blick Exclusive! — These convenient multi-packs of 24 are perfect for classrooms and beginning artists! ® Masterpiece is a registered trademark.™ The Artist Grid is a trademark.